I'm going to tell you a story. 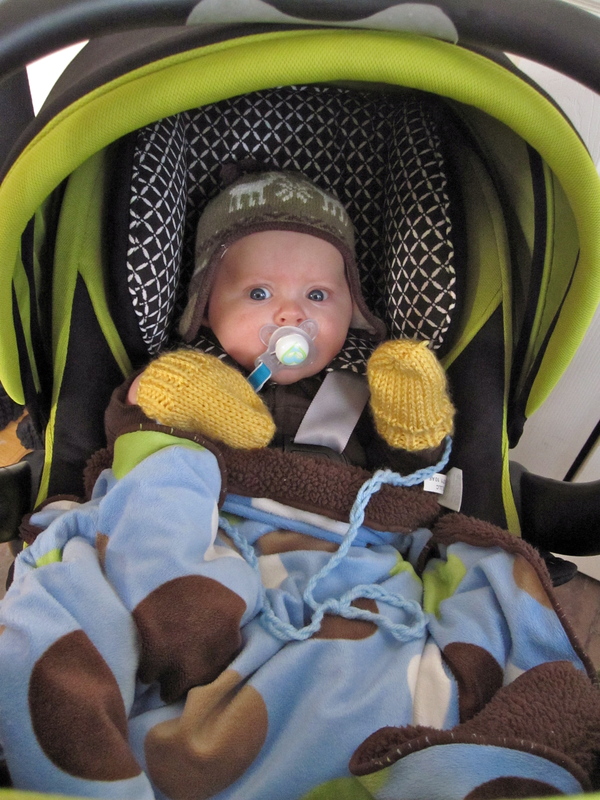 It's about a cute little baby who looks adorable as he's bundled up in his stroller, ready for a walk in wintery Montana. He looks dapper in his moose hat and mittens made by a friend. This story is also about the little boy's tiny mother who looks ridiculous while she tries to push his stroller in the snow. You see, the ground is often quite frozen and the wheels on this stroller aren't super sturdy. 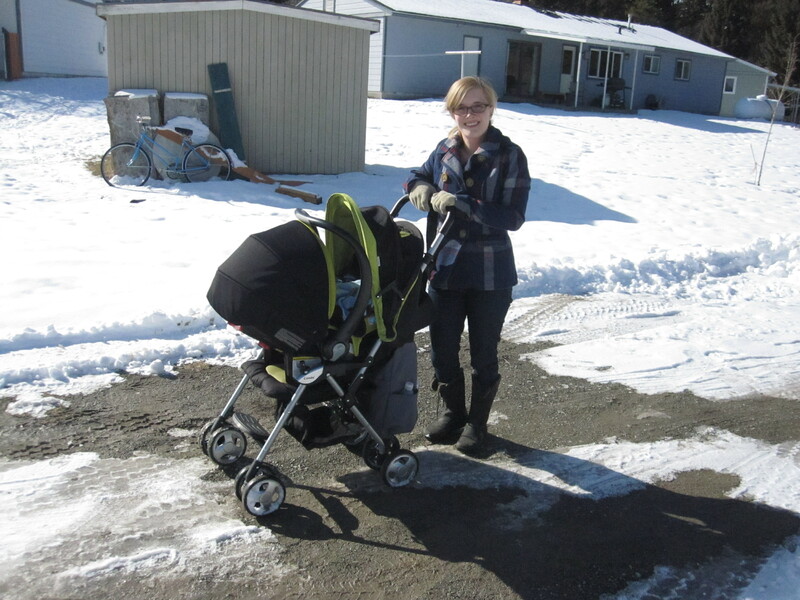 I may look happy in this picture above, but sometimes I get pretty embarrassed when I realize what other people are looking at when they watch me push Nicholas in his stroller: typically I am grunting and sweating as I heave the stroller towards myself over mounds of frozen earth. By the time we actually get where we're going I have both pushed the stroller and pulled it. I have literally picked it up just to get it over large patches of dirt and snow. You'd think I would just get a stroller with sturdier wheels like a monster truck, but no, I am stubborn and try to keep using this cute but not so beefy stroller. I must look like I'm trying to push a wheelbarrow full of heavy bricks over steep terrain; really I am just a wimpy, pint-sized woman trying to push her baby in a stroller over some pavement.